Looking for a retreat that majors in tables for two? Or a bolthole that puts golf greens at your fingertips? Whatever type of trip you’re after, we’ve got an adult holiday with your name on it. Get away from it all in the secluded hillside hotel Riu Palace Madeira. 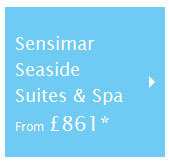 Or, soak in your own private Jacuzzi® in the Sensimar Seaside Suites & Spa in Mexico. Celebrating a special occasion? Book a couples' massage on the beach for the ultimate treat. 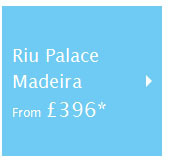 Portugal from £396: departs Manchester on 4th November 2016 to Canico de Baixo, Portugal for 3 nights based on 2 adults sharing at the Hotel Riu Palace Madeira on a AI basis. Mexico from £870: departs London Gatwick on 31st October 2016 to Riviera Maya, Mexico - Caribbean Coast, Mexico for 7 nights based on 2 adults sharing at the Sensimar Seaside Suites & Spa on a AI basis. Our adult holidays run the full scale – you can choose from off-the-beaten-track hideaways, like those in our Small & Friendly collection, or opt to be right in the thick of things, à la Thomson Scene hotels. Location isn’t the only thing you’ve got to think about on an adult holiday. If you fancy a totally child-free environment, consider a Thomson Couples hotel, which will become part of the Thomson Sensimar collection from May 2016. These are adults-only, so a peaceful atmosphere is guaranteed. His and hers spa treatments and out-of-this-world dining come courtesy of our luxurious Sensatori resorts. And if you feel like getting all dressed up for dinner and a show, look to our classic Thomson Gold holidays.